Style Design & Build Ltd - Builder, Kitchens based in Shurlock Row, Berkshire. 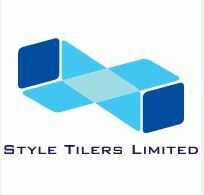 Style Design & Build Ltd are a highly experienced loft conversions and extensions construction company. With 10 years of experience in projects of this type, we can ensure that you receive an affordable, professional build, which will give you the extra space you need. Loft Conversions can be tricky to navigate your way through, but here at Style Design & Build Ltd, we can ensure that your space is utilised in the right way to give you that extra room. Offering a bespoke service tailored to your specific needs and current space, we can build you a stunning kitchen extension for your family to make the heart of your home, or a loft conversion with extra bedrooms and bathrooms. At Style Design & Build Ltd we pride ourselves on customer care and go the extra mile. We maintain a clear focus on loyalty, trust and aftercare – our customers appreciate our honesty. Reading, Bracknell, Maidenhead, Woking, Gerrards Cross, Berkshire.